Growing chervil is a very attractive plant. It has ferny leaves, is quick growing - harvest in 8 weeks - and hardy, so you can use it during the winter into spring from an autumn sowing. Do either buy a plant from a garden center or sow seed as it is easy to confuse with hemlock – oops…hemlock is poisonous - very poisonous! 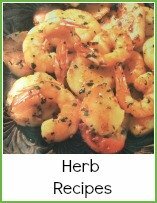 It’s used to make the famous chervil soup, delicious with crab, cream cheese, omelettes, in salads, béarnaise sauce, with all meats, fish and poultry – such a versatile culinary herb. 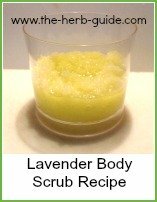 In addition, it’s valuable as a diuretic and digestive and for chronic skin problems. It is actually a perennial, but if you want chervil growing in your garden all year round, you need to look on it as two plants. One, a perennial that will pop up year after year in the spring and those plants needs a semi shady spot. The other an annual that you sow in late summer for cuttings 8 weeks later and onwards – those plants needs a sunny spot. Protect the chervil in the winter with a cloche and you will be able to cut all year. Chervil will grow in any soil but dislikes being too wet although it does need water, it won’t like being in badly drained soil. Sow the seeds in rows 1 foot (30cm) apart and thin plants to 1 foot (30cm) apart. Sow the winter chervil in late summer and the spring chervil from late winter onwards – the best results seem to be 2 days before a full moon – don’t ask me why, because I don’t know. Choose a sunny spot for your winter chervil and a semi-shady spot for your summer chervil. The plants will self seed if one or two plants are allowed to flower. 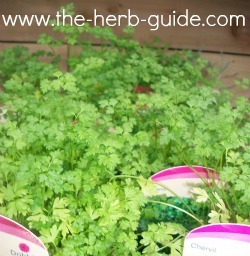 It is possible to grow chervil indoors, but you will need a few plants growing to be of any use to you in making sauces for instance. 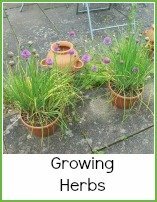 Sow the seeds in monthly succession if you want a constant supply – it’s one of those herbs, that once you start using it, you find more and more uses for it. Hmm… well, given its likeness to hemlock, I’d be very cautious about cultivating something I wasn’t really sure about. If you are absolutely positive that you’ve got chervil growing, then thoroughly weed the area, lift any plants that are well past their best and give the area a top dressing of feed. Water the plants and just give them some tender loving care for the first year, keeping the bed weed free and thinning out self sown seedlings so that they don’t crowd each other out.